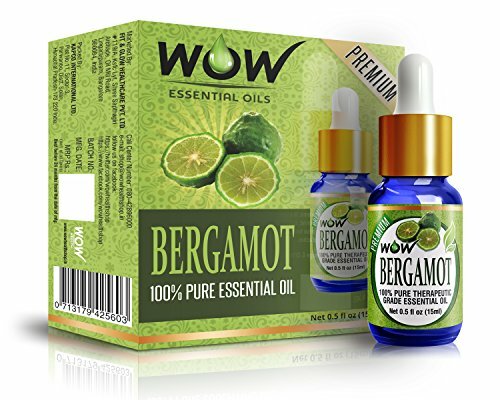 Learn more about Bergamot Mint Essential Oil or find a great deal on the best selling Bergamot Mint Oil from the items below! Aviano Botanicals' 100% PURE & ALL NATURAL BLUE DIAMOND THERAPEUTIC GRADE Bergamot Essential Oil is strong enough to work wonders with only a couple drops, while other brands may need 3x as many drops to reap any benefits. This will insure that our concentrated bergamot essential oil will last much longer than most larger 2 and 4 oz bottles on the market. Comes with our UNIQUE EURO DROPPER allows you to precisely measure drop by drop and avoid accidentally spilling a few extra drops. BEST SCENTED BERGAMOT ESSENTIAL OIL: Our undiluted bergamot oil is 100% PURE hence can be used for aromatherapy in luxurious spas or even at home using a diffuser for a feeling of pure serenity and bliss due to its naturally strong fragrance. No diffuser? Just mix this oil with water in a spray bottle to sense the aromatic scent and feel of organic tranquility. This oil mixes well with lavender and orange essential oils. 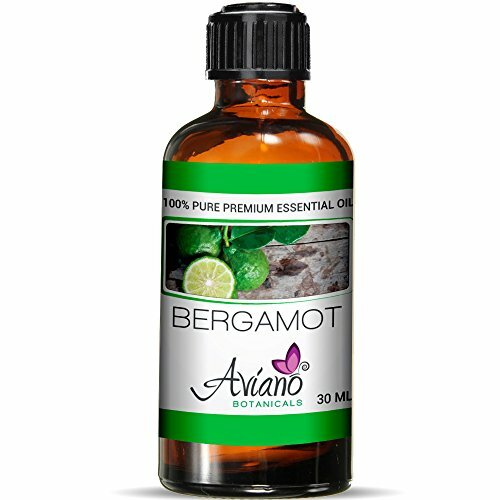 Since bergamot essential oil is a liquid, you can USE IT FOR MAKING MANY HOMEMADE ITEMS such as perfumes, candles, body wash, bath rock salt, shampoos, conditioners, lotions, incense sticks, soaps, air fresheners and more! Or simply add a couple drops to these(or other) existing items you have laying around to power-pack them with the power and luxurious scent of Aviano Botanicals' Premium Bergamot Essential Oil. Our SUPER POWERFUL, EXTRA VIRGIN ESSENTIAL OILS uses crops which are always HARVESTED/PICKED AT THE PERFECT TIME to capture and bottle its pure unadulterated essence. Add to Cart Now - We Offer a 100% Money Back Guarantee on All of our Products! Silky Scents EO186-10ML Bergamot Mint Essential Oil 100 Percent Pure Therapeutic Grade - 10 ml. Botanical Name: Mentha citrata Extraction Method: Steam distillation Aroma: Soft mint, green, slight citrus aroma Origin: USA Bergamot mint's lighthearted floral notes make it perfect for use in the bath, or in a relaxing massage blend. It makes a wonderful perfume, either alone, or with a touch of Vetiver to anchor it. Unlike many of the middle notes, it is complex enough to wear alone, but will need frequent reapplying. When musing on its potential the phrase that comes to mind is 'blythe spirit'... If you are looking for an non-citrus Essential Oil to brighten the spirits this is the one! Blends well with: Most other mints and citrus oils, Basil Sweet, Geranium, Lavender 40/42, Rosemary, and Sage. History: In Greek myth, Minthe was the name of a beautiful water nymph who was pursued by Pluto, god of the underworld. When his wife Persephone found out about the dalliance she turned Minthe into a plant that would be trodden underfoot. Having been caught in the act, Pluto could do nothing but accept his wife's vengeance. But he did turn Minthe into the herb mint that when trod on would release a beautiful fragrance. The ancient Romans used mint to adorn themselves and their tables, and the use of mint by the Egyptians has also been well documented. The Roman, Pliny the Elder, advised scholars to wear a crown of mint plants to aid concentration, but he also warned lovers that it was contrary to procreation. The Greeks, however believed the opposite - their soldiers were warned to avoid mint during a war as it was feared that increased love-making would diminish their courage. 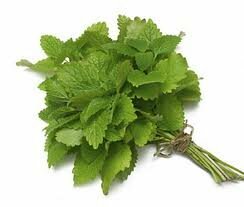 Mint is said to bring luck and helps to increase your money prospects if a few leaves are rubbed into the purse. Mint has been used to cleanse and protect the home from disease and negativity and is also a traditional folk cure for a headache; the cure was achieved by rubbing a few mint leaves on the forehead. Strengthen Your Spirit And Ease Your Mind With Bergamot Essential Oil You can now feel as if you're walking through a blossoming bergamot orchard, by using WOW's Bergamot essential oil. Revel in its delightful aroma and reap its multitude of health benefits. Use bergamot essential oil during your daily bath, a massage session or by adding it to your face cleansing routine. Bergamot is used in Aromatherapy for its anti-anxiety, anti-depression and powerful antiseptic properties. It releases locked-up emotions that lead to anxiety, depression and sleep disturbances. It cools down anger, mood swings and irritability. To get reprieve from severe emotional anxiety, prepare a relaxing bath and add 2 drops Bergamot oil and 4 drops Neroli. To effectively deal with all-consuming grief, mix it with Rose Otto and Australian Sandalwood in a carrier oil and apply in smooth, soothing strokes on your body. For treating skin troubled by acne or eczema, mix Bergamot oil with Sweet Orange and Linaloe Wood in a carrier oil and apply directly on affected areas. You can also take advantage of its antiseptic properties by preparing a hot compress and adding 2 drops Bergamot and 4 drops Tea Tree oil and apply it on infected cuts or boils. Grab your own bottle now and embark on a body and soul cleansing journey. Click Add To Cart Now While Supplies Last! Bergamot Zoom Bergamot 1 Review(s) | Add Your Review Latin: Citrus bergamia Aroma: Fresh, citrus Origin: Asia Note Classification: Top Extraction Method: Cold Pressed Parts Used: Peel Availability: In stock $13.95 Size: Qty: 0 Add to Cart Add to Wishlist Questions about shipping? Click here to learn more... Have a question or concern? Click here to contact us. You can rest easy knowing all of our products are 100% pure and natural! Never miss our promotions by subscribing to our newsletter! 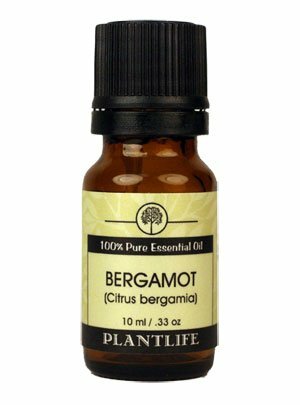 0 Details How To Use Reviews Related Ingredients Bergamot has a light, fresh, floral citrus aroma that is uplifting, rejuvenating, calming and balancing. It is known to be an anti-inflammatory, antibacterial, antidepressant, deodorant, and sedative. Commonly used in cosmetics to help balance oily skin, prevent acne, and help relieve skin irritations such as psoriasis and eczema. It is said to help alleviate fatigue due to stress, restore appetite, improve digestion, strengthen the immune system, and reduce fever as well as repel insects. Use carefully in skin preparations as citrus oils are known photosensitizers. Silky Scents EO186-15ML Bergamot Mint Essential Oil 100 Percent Pure Therapeutic Grade - 15 ml. 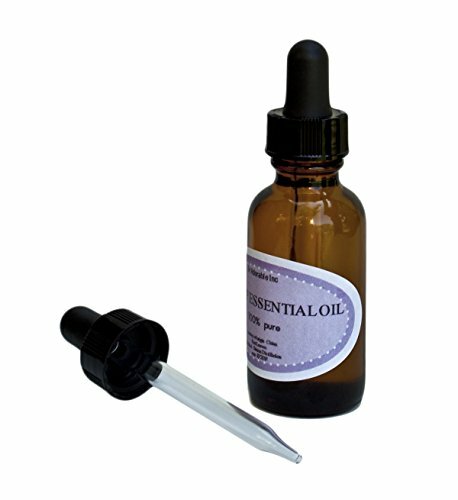 Silky Scents EO186-5ML Bergamot Mint Essential Oil 100 Percent Pure Therapeutic Grade - 5 ml. Silky Scents EO186-10ML Bergamot Mint Essential Oil, 100 Percent Pure Therapeutic Grade - 10 ml. Silky Scents EO186-15ML Bergamot Mint Essential Oil, 100 Percent Pure Therapeutic Grade - 15 ml. Silky Scents EO186-5ML Bergamot Mint Essential Oil, 100 Percent Pure Therapeutic Grade - 5 ml.